Arts University Bournemouth (AUB) acknowledges the value of publishing information about its higher education provision. As well as course information, we are pleased to publish information which will inform the public about higher education, and may help provide potential students with information so that they can decide whether or not to make an application to study with us. Information is provided on institutional context; about aspects of courses and awards; and about the quality and standards of programmes . All Honours degrees and Masters degrees delivered by Arts University Bournemouth are the sole responsibility of the University with respect to the maintenance of quality and standards. No awards at these levels delivered at AUB (and publicised on this website) are delivered collaboratively, although please see the statement on employer engagement below. Research degrees are delivered through a partnership arrangement with the University of the Arts London, which is the awarding body for MPhil and PhD. The University of the Arts London is responsible for assuring the standard of awards. 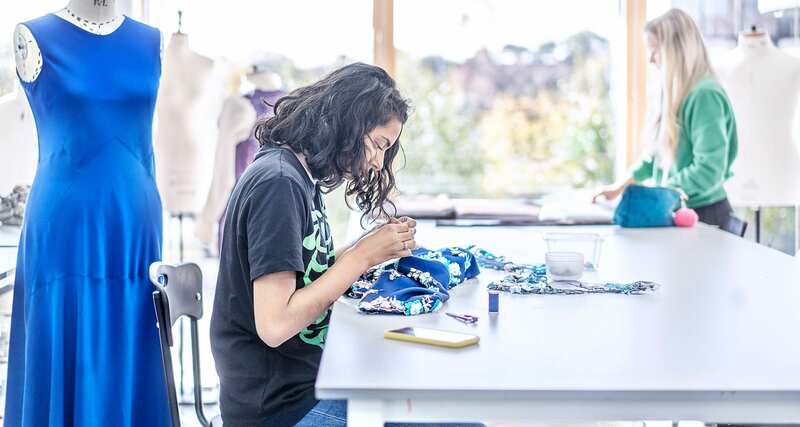 Responsibility for the quality of the student experience rests with the Arts University Bournemouth, which makes annual report to the University of the Arts London. Arts University Bournemouth additionally validates awards offered by Cleveland College of Art & Design, and Bournemouth & Poole College. Arts University Bournemouth holds ultimate responsibility for the standards and quality of these awards, and the detailed arrangements are set out in a Memorandum of Understanding with each institution. Arts University Bournemouth prospectus and course information are available through the website. The programme specification, which provides more detail about the course including information about learning and teaching strategies, and lists the units to be taken, is also available as part of the course details. Arts University Bournemouth runs an internal satisfaction survey on an annual basis (known as the Student Perception Survey or SPS). In 2018, 89% of respondents confirmed that they would recommend the course to others. Employers input into programmes at the University, in a variety of ways. Courses have an Industry Liaison Group (ILG), which comprises key employers within the industry and advises the course team both on developments within the discipline, and on the skills required by graduates. In addition, employers are invited to contribute to course development (both at validation and at periodic review), and an employer representative will usually be part of the validation or periodic review panel. Employers also make contributions to courses by offering live projects (and, for instance, joining the panel which reviews the outcomes), or by giving specialist lectures. Some courses are also accredited by professional associations: ARB/RIBA for courses in Architecture, and Skillset, the industry lead body for the creative industries, for a wide range of other courses. This is indicated clearly on the Key Information Set for each course, as well as the relevant programme specification. The University’s Quality Assurance Handbook contains the procedures for programme approval, monitoring and review. It also contains procedures for external examination. The outcomes of these processes are considered by the Learning, Teaching and Quality Committee, and are available on request once they have been approved by the Committee. The Student Complaints Procedure and the Appeals Policy can be accessed through the staff and student portal, and are available on request.